I hope you all enjoyed the ridiculous “efo face” photos I posted yesterday. My sister straight up laughed at me for posting those, and believe you me, I was laughing at myself as I posted them too. Classic. Anyways, thanks for playing along with the Q&A that was fun! Yesterday was super productive and it all started with a great track workout. 10 min warm up, 4 x 1mile repeats, 10 min cool down. Our aim was to hit each repeat in 7 min, and we were pretty consistent. 6:57, 7:00, 6:59, 6:35. The best thing of all, was that the pace felt sustainable, comfortable, solid. Which is why for our last mile, we started out at 7 min pace for the first 800m, but then gradually picked up the pace to a full sprint by the end. It felt awesome. I love workouts like those. The rest of the day was work and what not, but after work, Weez and I volunteered at the Without Limits Dash and Dine 5K, at the Boulder Res. We were in charge of helping people register, assigning bibs, explaining the course, etc. The guys who host this racing series are great, and it’s always fun to volunteer at races instead of getting all nervous about running them. And of course afterwards, we had a very wet/happy dog who loved shaking herself out right next to me. Two seconds after this photo was taken, I was soaked. We’re be at the Boulder Res again next week, but instead of volunteering, we’re racing. So come on out and join us if you’re in the area! It’s a great course and they provide dinner afterwards as part of the $22 registration! Tell me about your last “confidence builder” workout?? 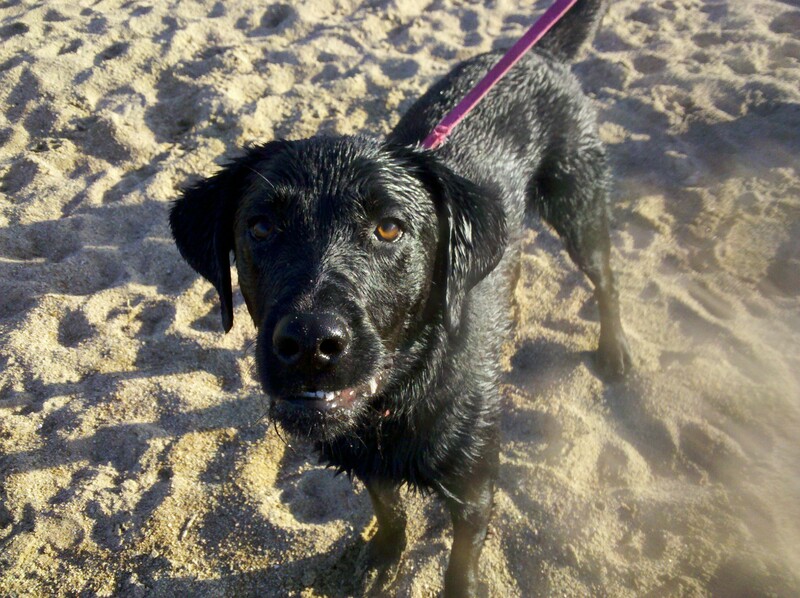 Does your dog love playing in water? Previous Post Q & A! 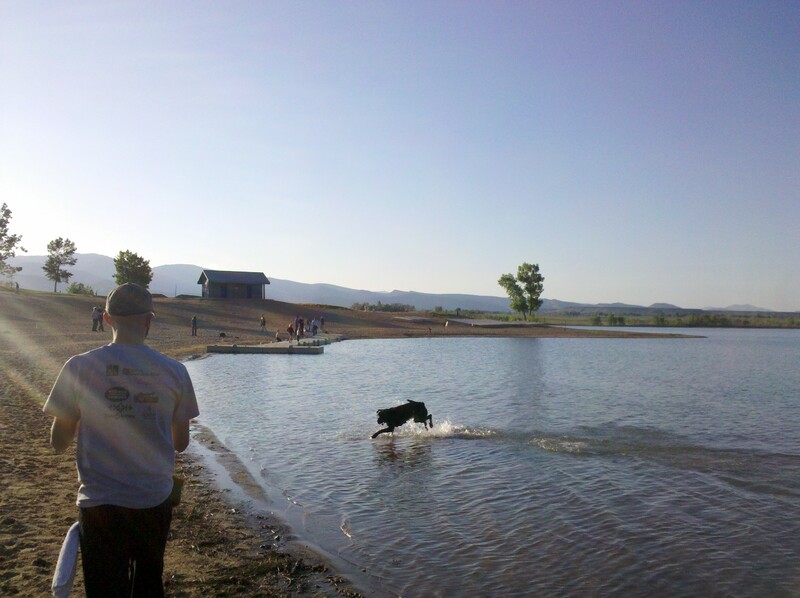 One thing I do miss about living in Longmont was being able to run at the Boulder Res with my dog. Always such rewarding views. Last confidence-builder workout? This morning. I ran up here on trails like I used to on sidewalks in CA. Yay me … starting to thing I might be able to join you in Boston next year. This weekend? Plenty o’ work. Next Tuesday, as long as the wife green-lights me, I’ll be there. 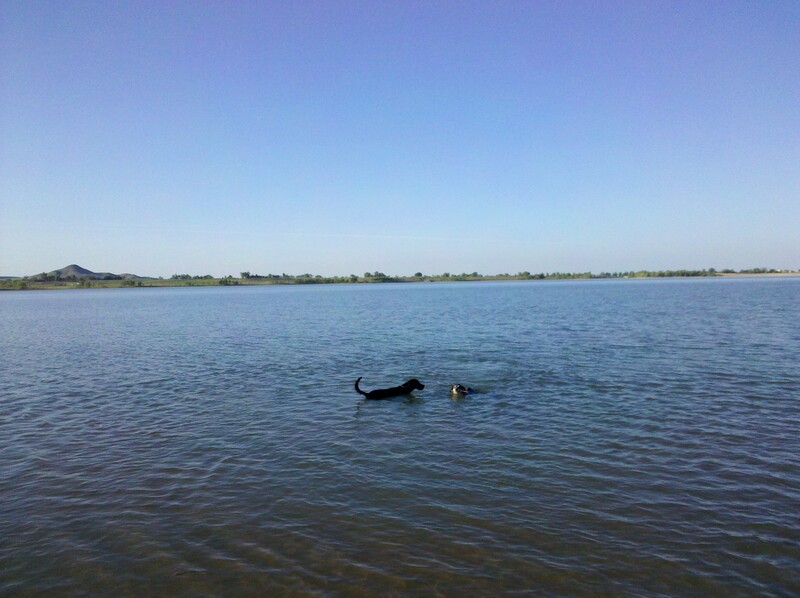 And my dog … no, he doesn’t like water. Grumpy old man! Tals is the worst swimmer ever! I managed to teach her a bit so at least she doesn’t drown but she looks so awkward and wrong that I can’t help but laugh at her :) I’m actually headed up to Estes Park this weekend for a wedding, so keep your fingers crossed that the weather holds! i demand a video of Tal swimming now! haha, i can just imagine :) i hope the weather stays lovely for your friends’ wedding! I love mile repeats. That sounds like a great workout–love your last split! I haven’t been on the track much this season, but want to change that. I think nothing builds confidence like a good track workout. mile repeats are so rewarding; hard but satisfying. i wish you lived closer, we could hit up the track together for some repeats. 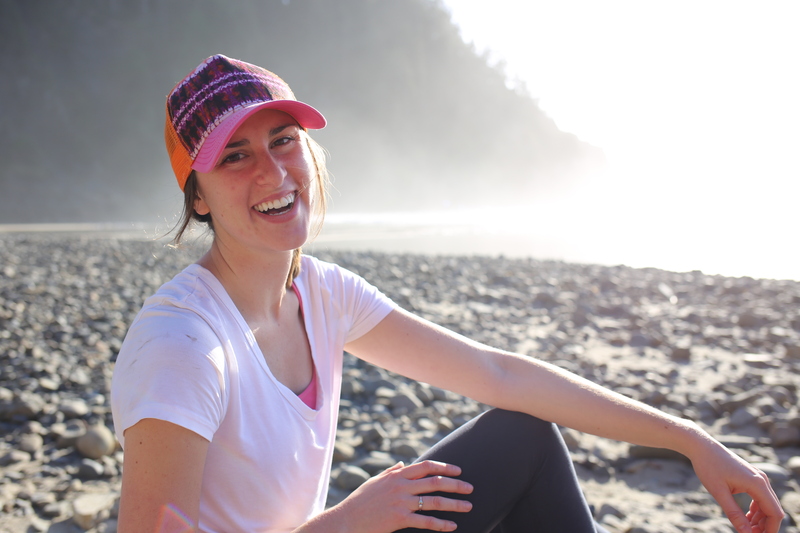 maybe if/when you come out for the health and fitness conference? Aww I’m so glad you got to take Cabo!! Awesome workout!! And picture of wet Cabo is adorable!!! Cabo looks so happy! Love it!! My recent awesome workouts are my power yoga classes. I feel so awesome during and after them.